Dallas Keuchel reportedly down to three final teams. The best starting pitcher to hit free agency this year is still looking for a contract 15 days before pitchers & catchers report. Dallas Keuchel has been reported to be down to just three teams, the Brewers, Braves and the Astros. There is still time for more teams like the Twins to join the race if Keuchel drops the price a bit more. He is likely looking for around a 3 year $60 million contract but teams are skeptical to offer that in today’s market. The 31 year old starting pitcher is likely struggling to get a deal he wants because he is different than most modern starters. His fastball often can only reach 89 MPH. He also could and only produce an 8.3% swinging strike rate and 17.5% strikeout rate. Keuchel has had some great seasons (2017) but both 2016 and 2018 were closer to average and more teams are reluctant to spend $20 million. He is without a doubt one of the best contact/ground ball pitchers in the whole league. The Brewers are already at a record payroll of $112 million but they can still afford Keuchel so they have been in talks with him. He would definitely be a nice upgrade for a team that was one win away from the World Series a season ago. Milwaukee is reportedly offering three years with an unknown price. The Braves are a team on the rise and a proven veteran starter may be just what they need. After losing to the Dodgers in the NLDS last season, they may add Keuchel to get over that hump. The details on Atlanta’s offer are unknown. The Astros are the third team on his final three and they are the team Keuchel played for since 2012. Houston is offering him a 2 year deal with an option but the price is also unknown for them. Many Twins fans have wanted to see Keuchel sign in Minnesota and it’s definitely still possible. If none of these teams offer the money Keuchel wants, the Twins could swoop in and attempt to sign him. I think all it would take is 3 years for $60 million ($20M AAV). The Twins have he room to sign him, as well as the need for a fifth starter so I hope they at least contact Keuchel. Thank you for reading my article on Dallas Keuchel. I would love to do more interactive articles with fans, so go visit my Twitter and follow me. (@EverydayTwins). If you enjoyed please leave a like and share with your friends. If you disagree or have any questions please leave a comment or ask me on Twitter. Also, Dallas Keuchel has the best beard in the MLB. 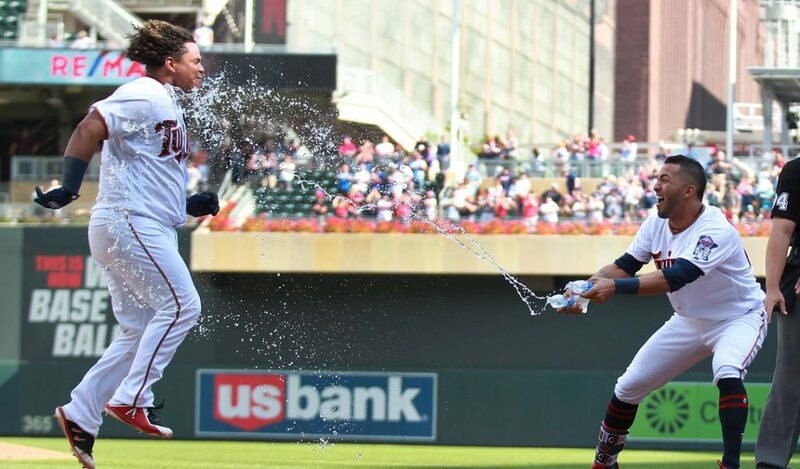 How I plan to be the most fun & engaging Twins site this season. Jason Castro versus Mitch Garver true comparison.